In a hard hitting letter to the two pro-LTTE British MPs, who demanded the withdrawal of Defence Attache Brigadier Priyankara Fernando’s diplomatic status, Minister Navin Dissanayake yesterday said Brigadier Fernando enjoys diplomatic immunity for actions performed within the embassy premises and that it was most disturbing and offensive to witness protesters being allowed to carry flags belonging to the LTTE in the UK where the organisation has been banned. The letter addressed to British MPs Joan Ryan and Siobhain McDonagh by the minister identified himself as the son of late Gamini Dissanayake, a presidential candidate who was assassinated by the LTTE and was the deputy leader of the UNP at the time. “My father was assassinated by the LTTE, the political wing which both of you surreptitiously support. The LTTE has been banned in your country and has been designated as a terrorist organisation by many countries including yours. February 4, marks the Independence Day of Sri Lanka and is a day of joy and celebration to all Sri Lankans. The front organisations of the LTTE, which both of you support, gathered a few hundred supporters to protest outside our embassy in the UK on this day. 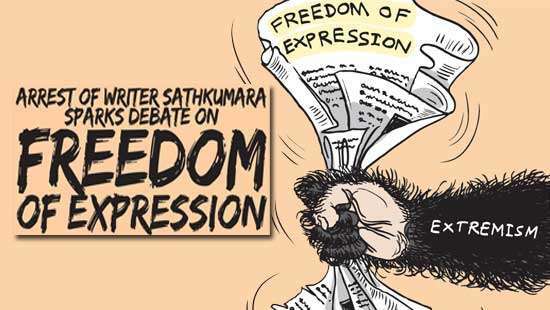 What is most disturbing and offensive to us Sri Lankans was the carrying of the LTTE flag and the abusive and vituperative comments made by the protesters,” he said. He said Brigadier Fernando was within the premises of the Sri Lankan Mission and his acts cannot be questioned either diplomatically or legally because he enjoys full diplomatic immunity for acts done within the embassy compound. “This tradition is the accepted practice in diplomatic regulations and the tradition is followed everywhere. As the protesters’ behaviour was offensive to Sri Lanka, Brigadier Fernando who is a vigilant officer of the Sri Lanka Army pointed to the lion emblem in his uniform to countenance the disgust he felt when he saw LTTE flags displayed in front of him,” he said. Dissanayake said both the MPs have been carrying out a deeply hateful, vindictive and offensive campaign against Sri Lanka. 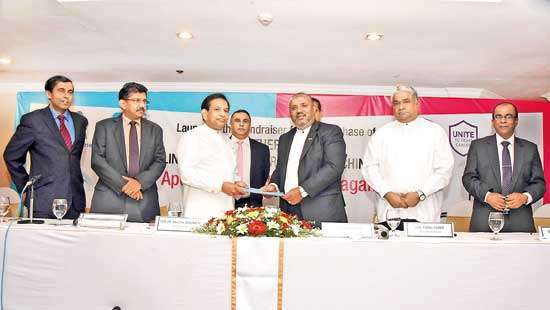 At a time when brutal terrorism has been eradicated and all communities are building bridges to live as one nation, the MP’s continued support to front organisations of the LTTE is self-serving and pathetic, he pointed out. “Tell your contacts in these front organisations to contribute to their own brethren in the north and east without continuing to fuel the flames of hatred and ethnic division. Sri Lanka needs a real sense of reconciliation without individuals like you trying your utmost to belittle the real achievements that are taking place on the ground. In any event, we stand with Brigadier Fernando steadfastly and he will continue as our Defence Attache in the UK,” he said. Well said. The LTTE must never be allowed to raise its ugly head again. The Forces need to be alert within Sri Lanka at all times. Need for Military Camps in the North and East is now justified. Hi ChariI don't why people over action and open mouth about this.Just few bad people do something things . Excellent! As a nation we MUST support our armed forces who sacrificed so much for us. LTTE and other racist elements inside and outside of Sri Lanka as well as the online groups should be eliminated for Sri Lanka to see any progress. Dear Plight. You are wrong. It was S. W. R. D. Bandaranaike, who was responsible for terrorism and civil war because of his Sinhala only policy. Hey Under the 1961 Vienna Convention for Diplomatic relations, Article 21-25 , British governments failed to protect the SL Mission in UK, and failed to disburse the Illegal protesters in a timely manner!!?? Moreover, Brigadier Fernando Technically in SL Soil as he was inside the embassy compound!!!? Protesters do not have to behave well, but diplomats are expected to. Especially an army officer should be a gentleman. As the comments here show, most writers support a bad behavior of the diplomatic representative of Sri Lanka. But this behavior only proves that many Sri Lankis can not behave in public. From a criminal law perspective, it is irrelevant whether this misconduct occurred inside or outside the embassy grounds, as a diplomat always enjoys immunity. Wrong! All who support the actions of the heroic officer are real Sri Lankans who feel for this nation. Those who press the dislike button to comments of support are LTTE sympathisers! The only good terrorists are dead terrorists!! People should be treated like people and sorry to say Dogs in certain cases would have to be treated the same. Well said! And shame in the british politicians who must be paid well by the LTTE. Ah, I learned something from Navin that if a diplomat shoot someone from within an Embassy premises or even kill his spouse, he or she can just walk free on this logic. So instead of this threat, the learned Navin says that the protesters should have been machine gunned from within the High Commission and claimed diplomatic immunity. Fine then. If he enjoys full diplomatic immunity for acts done within the embassy compound, will he be allowed to do "ANY ACTIVITY" even an "indecent one" within the compound?. 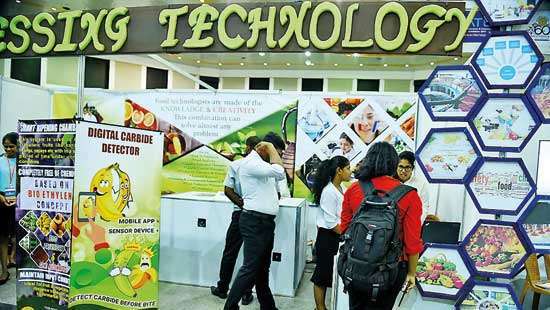 Please come to Sri Lanka and enjoy the and meet all the people. Terrorism has been wiped out here. But if you are an LTTE you certainly will have to be locked up. No one should challenge srilankans unfairly ,we are" one " when challenged Brits learned it and they know it. Impressive to the gallery.Can remember the Jaffna library burning. In the past lot of Sri Lankans too were wiped out during colonial rule. Hi Nalin, do you actually believe your dad and Lalith Atulath Mudali who were both prominent politicians at that time and were a political threat to another actually killed by Northern man? This time you are right Sir.. see even the yahapalana government has got good ministers..nice for change..!! Where ever he was he was making threatening gestures to British citizens. It is a pity that these people put themselves in front than their country. It is not whether what the counsellor did is wright or wrong, it is about how it will effect the country. Irrespective of being a Sinhalese or Tamil, if someone behaves bad, we should be prepared accept the truth. Put your country in front and not petty political gains. This is what you get when you appoint such village idiots, who can hardly speak English, to work overseas. Shame on all politicians who tolerate and condone such acts. If the protestors broke any laws, I am sure the British authorities will take appropriate action. British MPs who ride on terrorist supporters and dance to terrorist demands are disgrace to human beings. We, the lion Brand people should declare war on the para suddas for insulting our hero! 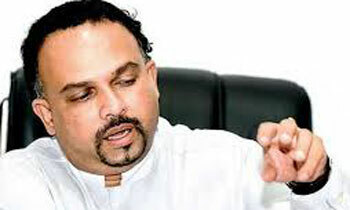 Let us hope our Patriotic General Wimal weerawansa will start another Fast or Fart unto death! Please explain to us,this lion connection to the Sinhalese race.Did your race originated from the lions ? Then you are not human ? Tourist.. why do you think New Zealands call themselves Kiwis? We all know what colonial masters did to Sri Lanka. They divided and ruled and took all what ever they could. Now there are masters anymore, that era is over. Its best everyone to mind their own business and let Sri Lankan's to handle situations the way they feel and best for all stake holders. The bloody LTTE is over and all LTTE supporters should get over it. If they really love so called their people, them shut up and burger off. Hats off to Hon. Minister for your wisdom. One day you will lead this country. I am not sure if this Minister knows anything about Diplomatic Protocol. An act within the embassy compound may be protected by diplomatic protocol. But, it does not prevent the British Government declaring the person "persona non grata", which means he has to leave the country. I think who ever advised the Foreign Ministry, the President and the Army made blunders. What should have been done was to recall him for an inquiry and after the inquiry he could have been reinstated or removed for good. When the country is ruled by the media bursts and TV debates this is what happens. Even the media today do not know how they should manage their own freedom of the press/media they have received. None of the media does Fact Checking. This means they are facilitating distribution by print, tv, electronic and other social networks wrong information to the public thereby not doing the correct service they are expected to do. Does the Minister think that British soil is in Sri Lanka? A British Citizen or a demonstration in the British soil is not the business of Sri Lanka to get offended about. In Britain any one can protest on any topic, that is the law of the country. As a Sri Lankan I am too offended when I see LTTE flag anywhere in the world, but that does not mean that I am going to attack the person or signal to the person that I am going to cut his neck, that too after showing Sri Lankan insignia. Mind you I am not a diplomat either. When did you start preaching bana? The behaviour of Brigadier Fernando is abhorrent and demonstrates his total lack of regard for his role and the Constitution of Sri Lanka.